If you are driving from the north, the two main routes are via the A78 (Irvine, Saltcoats, Ardorssan), and the M77/A77 (Kilmarnock, Glasgow).In both cases follow the directions to Prestwick Airport via the A79. After exiting the roundabout which takes you onto the A79, approximately 200 yards on your left you will see Prestwick Airport. At the bottom of the incline there is a roundabout. Go straight on (second exit). After approximately 0.50 miles you will see a small roundabout in front of Prestwick Airport, again go straight through. At the next roundabout take the third exit (following the sign for Prestwick). After approximately 300 yards you will see Prestwck North Parish Church on your left hand side, and Bryson's garage on your right. Keeping going, and carry on through the traffic lights at Prestwick Cross (there are gardens on your right, and the Clydesdale Bank on your left). After approximately 100 yards you will see the Co-operative supermarket on your right quickly followed by Prestwick South Church. 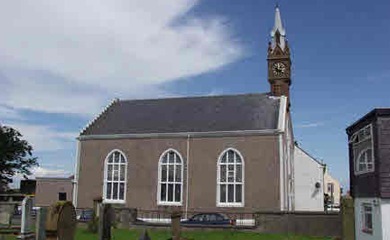 The Presbytery of Ayr office is located within Prestwick South Church. As you face the front of Prestwick South Church, look to the left side, and you will see a black wrought iron gate. There is a sign there directing you to the Presbytery office. If travelling from the south the best way to approach Prestwick is using the A77 following the road signs for Prestwick Airport via the A79, and follow the directions above. If travelling from Ayr use the A79 passing Sainsburys supermarket on the right (at Prestwick Toll), carrying on through Prestwick, passing St Nicholas Parish Church with it's sandstone tower on your right. After approximately 200 yards, you will see Prestwick South Church on your left. The Presbytery of Ayr office is located within Prestwick South Church. As you face the front of Prestwick South Church, look to the left side, and you will see a black wrought iron gate. There is a sign there directing you to the Presbytery office. Please go to the website of Stagecoach UK to choose appropriate travel arrangements. Buses from both directions stop at Prestwick Cross. 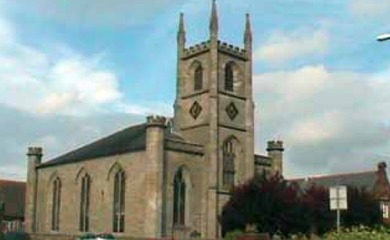 Walk south for approximately 100 yards you will see Prestwick South Church. The Presbytery of Ayr office is located within Prestwick South Church. As you face the front of Prestwick South Church, look to the left side, and you will see a black wrought iron gate. There is a sign there directing you to the Presbytery office. Trains run from Glasgow, Ayr, and a limited service from Girvan. Please go to TheTrainline.com website to choose appropriate travel arrangements. Exit the station, and walk straight ahead to the Main Street along Station Road. Cross Station Road at the Post Ofice, walking south past the gardens, and the Co-operative supermarket. 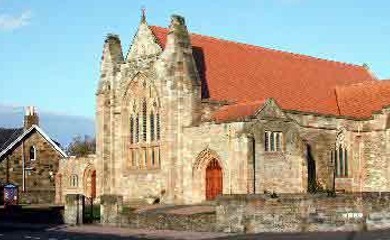 Prestwick South Church is approximately 50 yards south of the Co-operative supermarket,on the same side of the street. 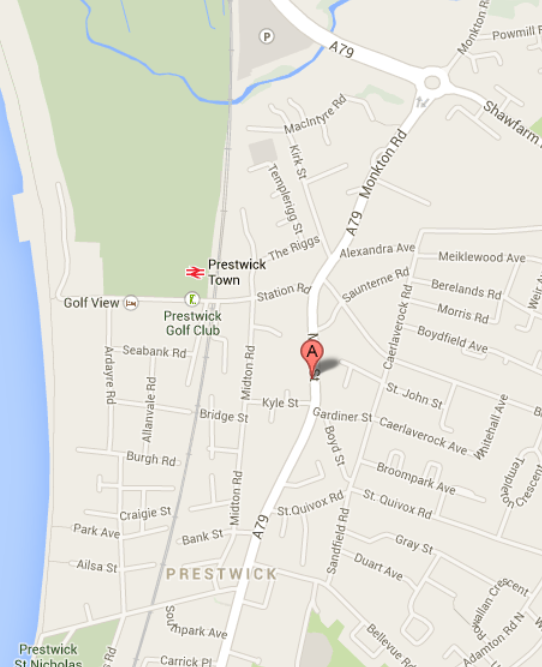 The Presbytery of Ayr office is located within Prestwick South Church. As you face the front of Prestwick South Church, look to the left side, and you will see a black wrought iron gate. There is a sign there directing you to the Presbytery office.